LEGO DUPLO Town Santa's Winter Holiday Building Kit - Best Price! Home Toys & Games Building Toys LEGO DUPLO Town Santa’s Winter Holiday Building Kit – Best Price! LEGO DUPLO Town Santa’s Winter Holiday Building Kit – Best Price! 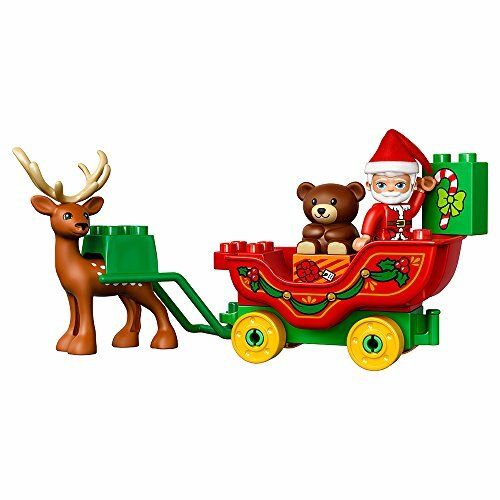 Your little ones will love playing with this fun DUPLO Santa’s Winter Holiday Set we found on Amazon! Hurry and get the LEGO Duplo Town Santa’s Winter Holiday 10837 Building Kit today for only $19.99 (regularly $29.99) from Amazon! This is the lowest price rev on Amazon. Limit 3. Check out all of the recent Amazon deals here! Build Santa’s sleigh and create some holiday magic! Buy the LEGO Duplo Town Santa’s Winter Holiday 10837 Building Kit from Amazon. Previous articleRARE Ulta Beauty Coupon for $3.50 off $15! !